Considering travelling to Tampa with kids? Check out these cool entertainment and activity venues we recommend! 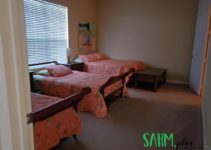 Several years ago, I took my daughter on an overnight trip to Tampa for a mommy and me trip. She was a toddler and, at the time, my only child. We are blessed I’m a stay at home mom and am able to do those things. In recent years, with the addition of my son, trips like these aren’t as feasible. While I’m still (kind of) a stay at home mom, it’s not as easy for me to pack two kids up to explore Florida as it was when there was only 1. And, I miss those days. Anyway, I’d been dying to go back and visit a few of the sights my daughter and I saw on our first trip. But, there were other places I’d been hoping to visit that we hadn’t yet seen. So, I convinced the husband that part of our vacation this year should include visiting Tampa again. For him and my son, it would be the first time for all the attractions we visited. For my daughter, we would be revisiting a few while others would be new to us as well. Some of the places we visited on our Tampa trip provided our family tickets in exchange for inclusion in this post. Our Sponsors will be denoted with an asterisk (*). All opinions expressed here are my own. This was the first stop on our trip. Several years ago, this was the main reason for taking my daughter to Tampa and I couldn’t wait to come back with both the kids to explore more of the area. Of course, checking out the aquarium again was exciting. In many ways, I feel as though they’ve improved from the first time I visited. The exhibits appear to be the same exciting and beautifully crafted scenes that captivate the kids (and myself). Even the hubby, who isn’t generally into aquariums enjoyed our time there. We spent about 3 hours viewing the Aquarium and had only caught one live show. We didn’t do the dolphin cruise, splash pad, or any additional adventure so spending 3 hours on the basic stuff was really impressive, in my opinion. We hadn’t quite anticipated it and had planned on letting the kids do the splash pad after lunch. Since our afternoon plans were coming up, we had to forgo the splash pad. 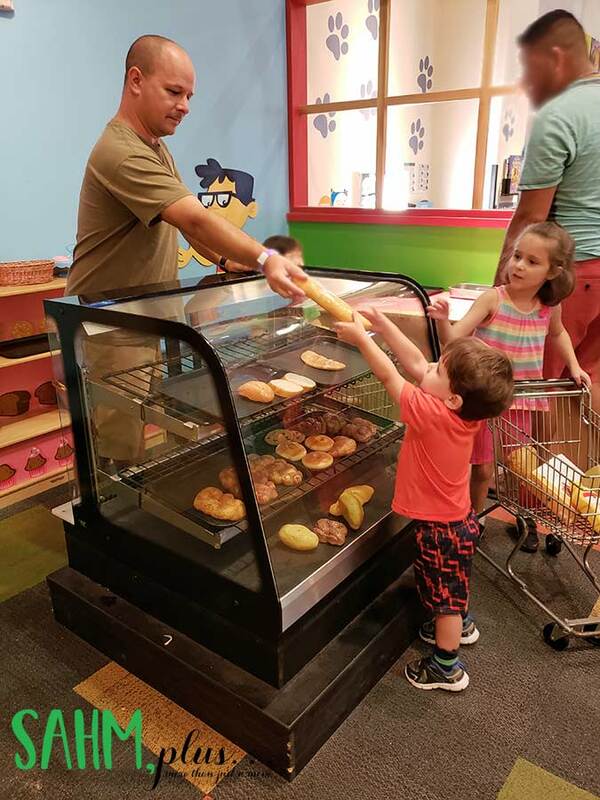 What I was really impressed with was that neither kid asked for a snack all morning because they were so engrossed in the exhibits. When we finally headed to lunch in Cafe Ray, they were famished and both finished their lunches quickly. 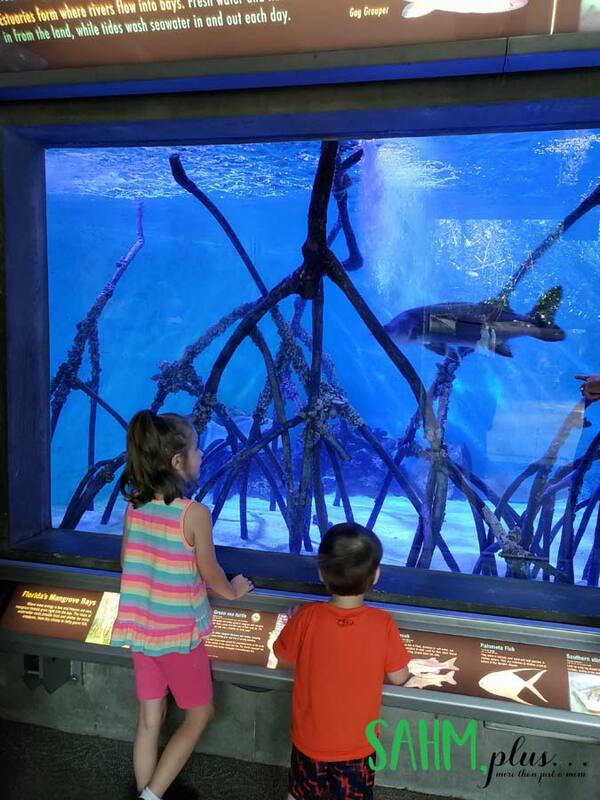 Overall, I think we enjoyed the aquarium much more than we were expecting and could have definitely spent the better part of the day there if we’d caught other shows, did the dolphin cruise, and let the kids cool off in the splash pad. Side-note: As a gluten-free diner, I was extremely disappointed to find that the kitchen staff were not trained on Gluten Free options. The website indicated gluten free options were available, however when I requested it, they kept telling me the only thing I could have was black beans because everything else wasn’t vegetarian. I tried to explain meat wasn’t an issue, that the gluten (wheat products) were what I needed to stay away from. Again, I was told even the rice was “cooked in chicken stock”. I ended up buying water and a bag of chips to hold me over. If you’re on a special diet for allergies, my recommendation is to prepare to bring your own food (despite the no food and drink requirements) if you’ll be at the aquarium during a mealtime. 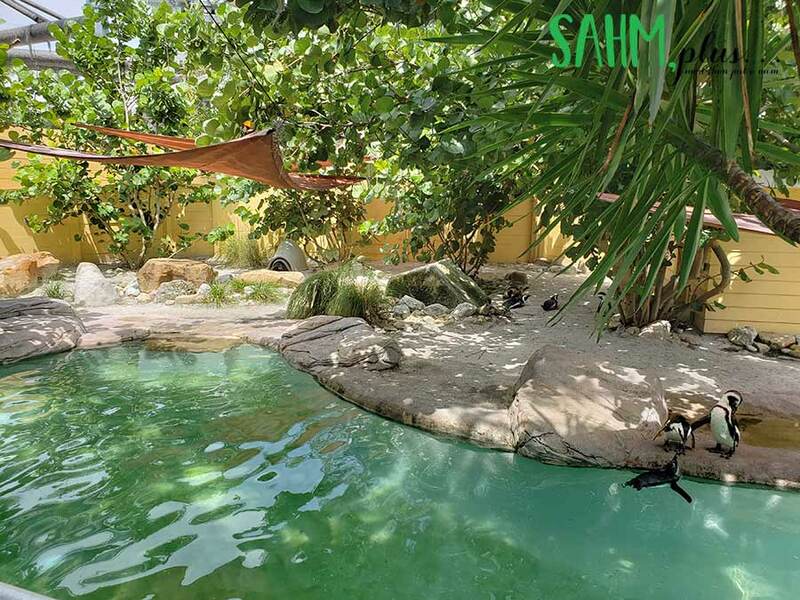 The AZA offers a zoo reciprocity program to members of a zoo that participates. 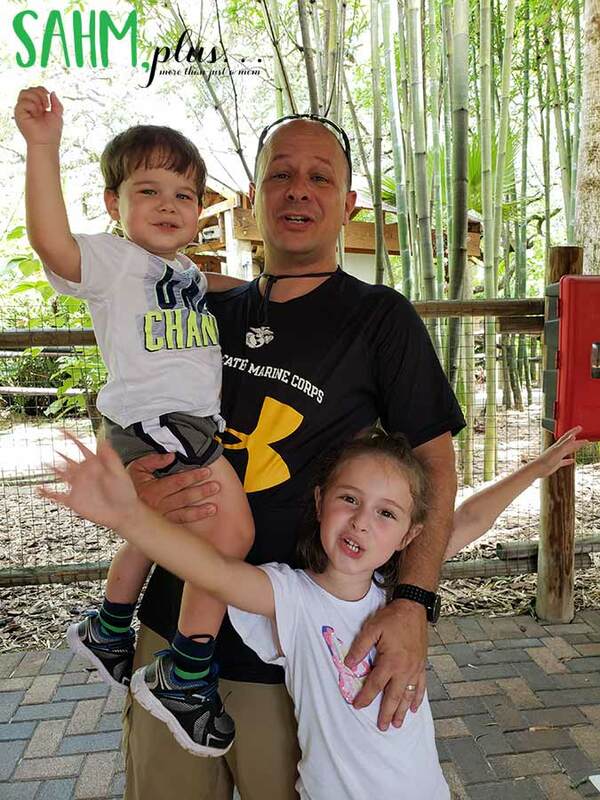 In our case, I’m a member of the Jacksonville Zoo, therefore I receive a 50% discount to The Florida Aquarium for the same number of family members listed on my own zoo membership. This made for inexpensive zoo entry for our family of 4. Check out the AZA Reciprocal program to see what discounts are offered if you’re a member of a participating zoo! 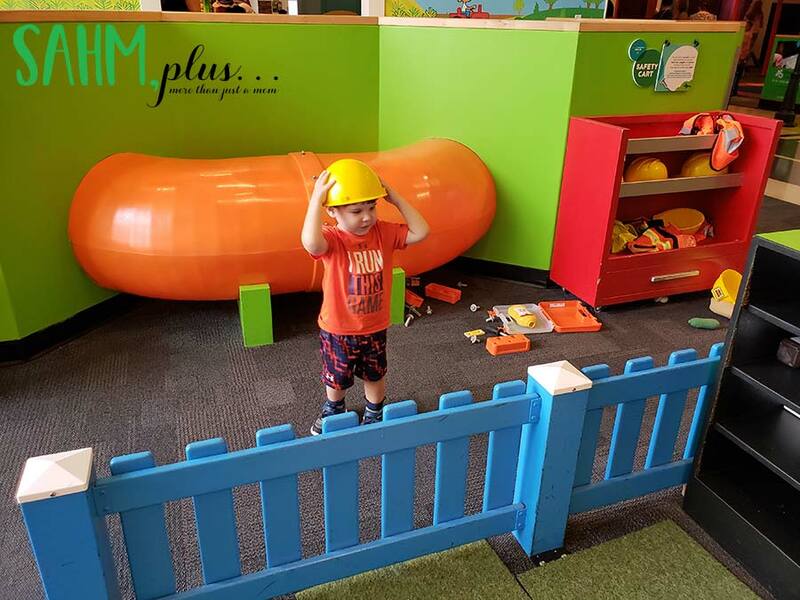 In the last few months, my son became obsessed with a YouTuber who visited The Glazer Children’s Museum in one of his episodes. 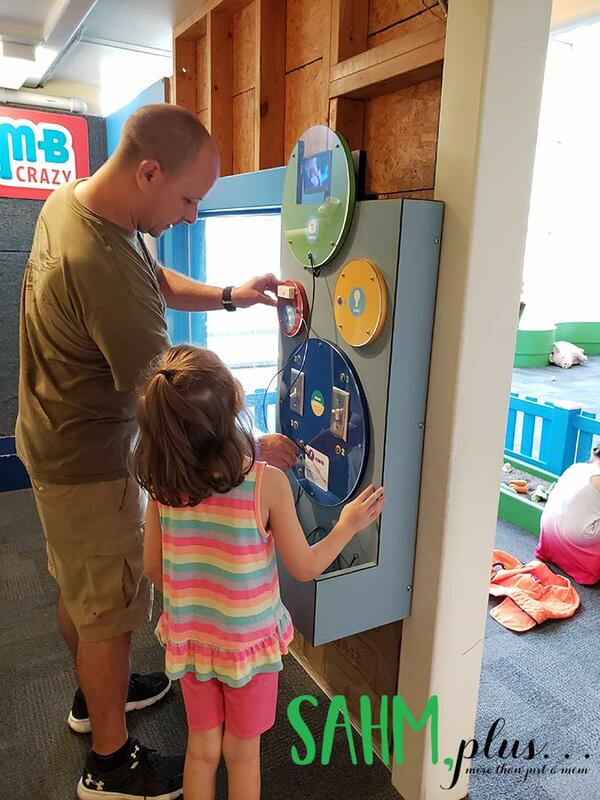 Though I’m not fond of said YouTuber, I was immediately disappointed I hadn’t visited the Children’s Museum on the trip to Tampa with my daughter several years ago. So, I made sure we visited while we were on our family vacation. I have to say that we were completely impressed with the amount of interactive educational opportunities available at Glazer! As we planned out our days, I lumped the aquarium and the museum together in one day assuming we’d have a few hours to kill before bedtime. We entered the children’s museum shortly after they opened on Sunday and didn’t leave until around 5pm. That was 4 hours of entertainment and, admittedly, not just for the kids. Heck, the first hour was spent on the 1st of 3 floors. 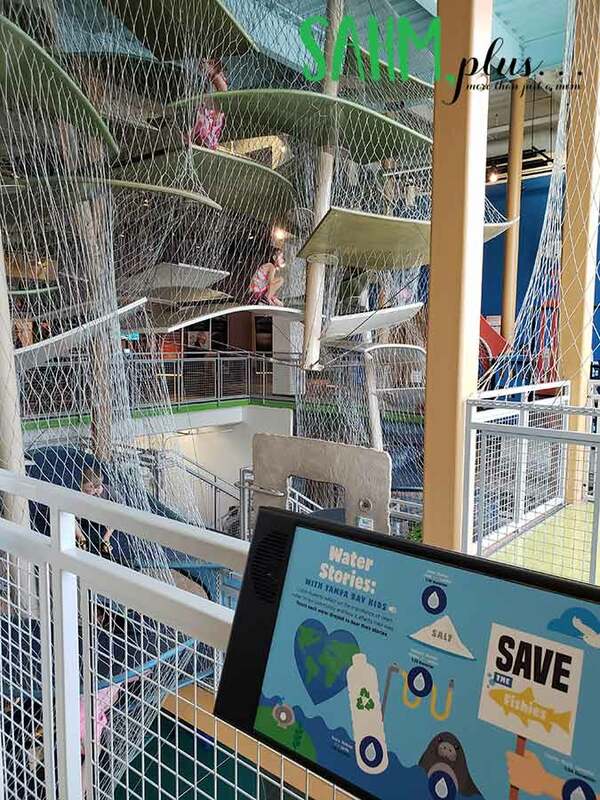 We had to convince the kids to leave the area to check out what the other floors offered. 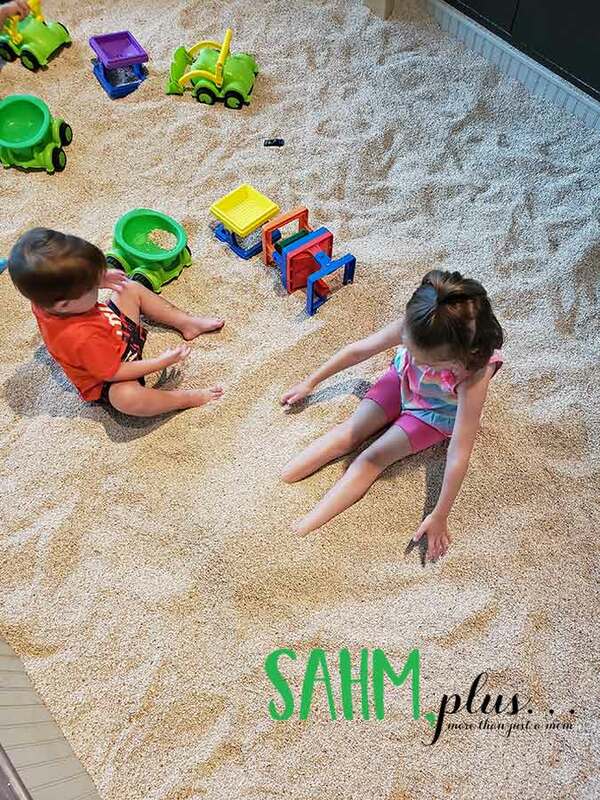 The first floor had an expansive water table, a faux cruise ship with rubber sand and sand toys, and a weather station that kept everyone occupied for a while. 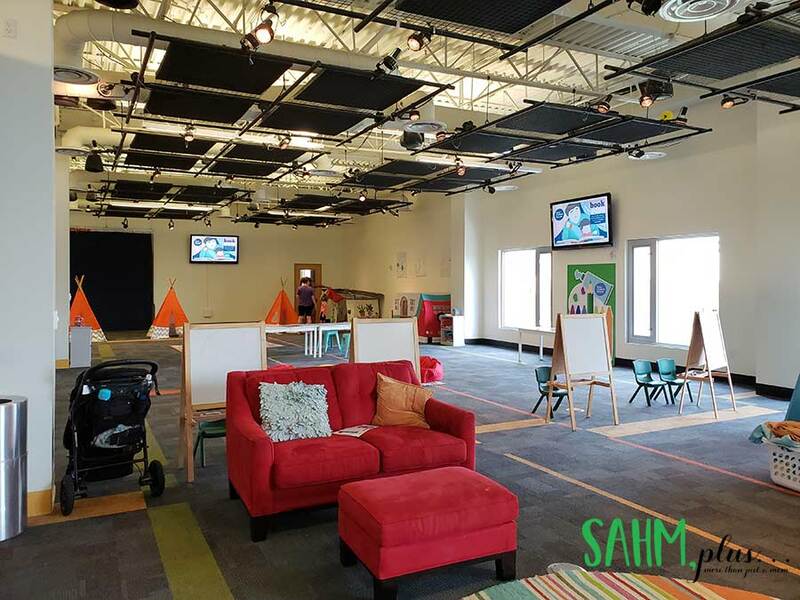 The second floor offered tons of imaginary play, STEM and STEAM activities, arts, and physical activity to keep everyone busy for a good amount of time. We even had to coerce the kids to visit the 3rd floor. The third floor was the least impressive but the quietest and most necessary after several hours of play. It housed a blanket fort building area, books, and tents for quiet reading. Eventually, the kids and I got cozy in a tent and read a few books to wind down before leaving for dinner. 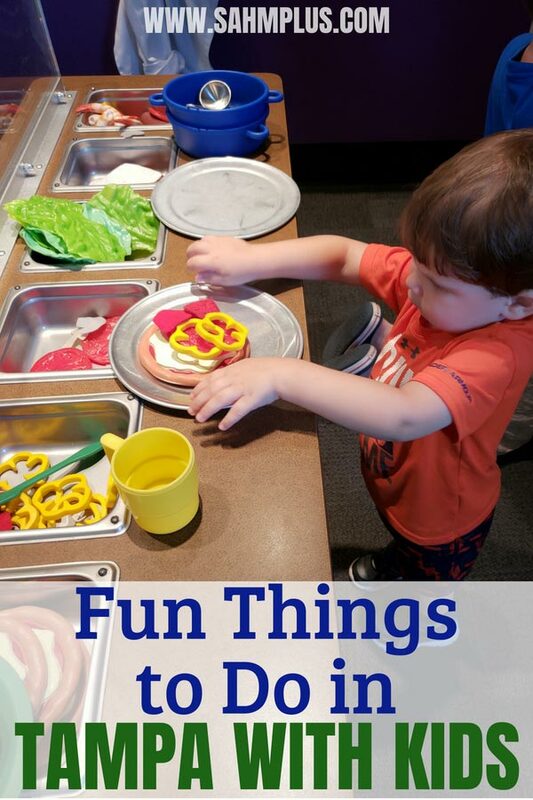 Turns out, this is a must-do experience when visiting Tampa with kids! We’ll certainly be back here if we visit Tampa again in the future. This was another location my daughter and I had the pleasure of visiting on our first trip to Tampa. 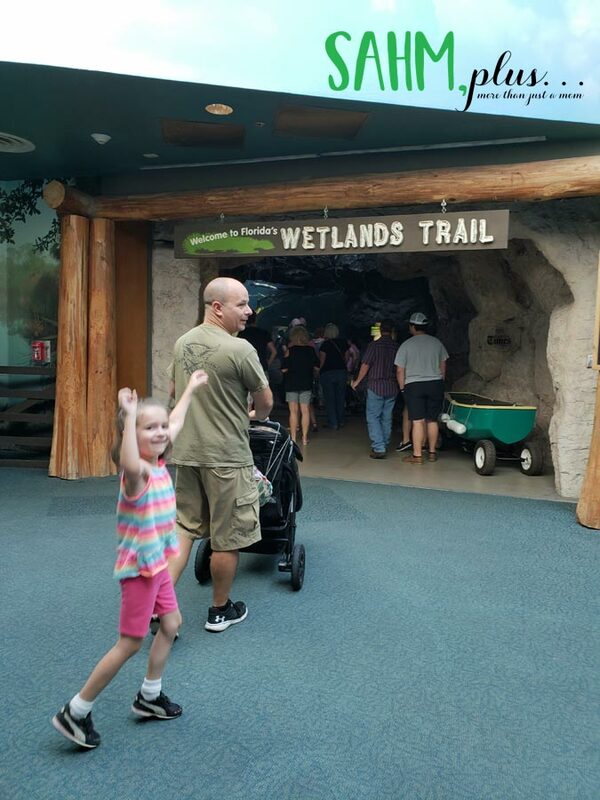 I had been impressed with it back then, so I added Zoo Tampa to our list of activities on our vacation in Tampa with kids. 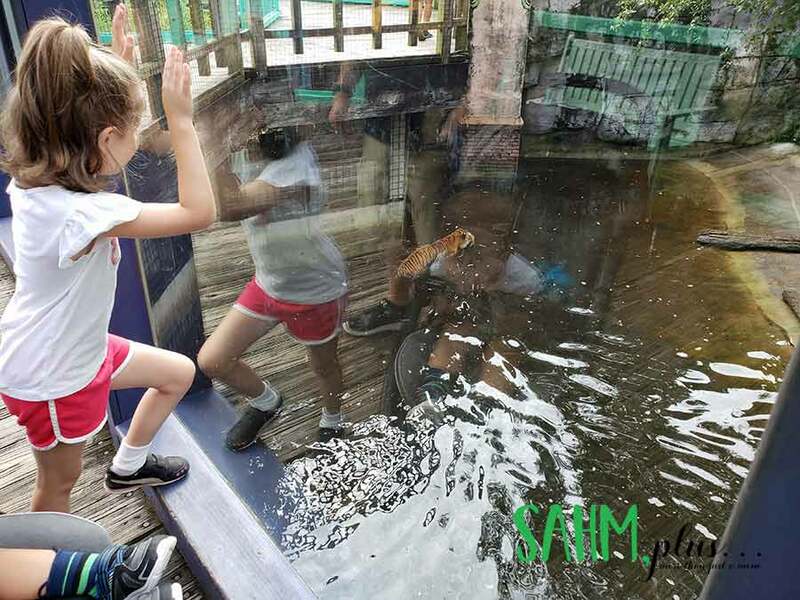 Unlike our local zoo, Zoo Tampa is a bit higher priced, but mechanical rides and some of the extra exhibits (like petting stingrays) are included in the price of admission. There are still extra encounters that you can pay for and reserve that are not included in admission, but you’re not going to feel like they’re nickle and diming you to death all day. It’s one thing I can say I wish our zoo would do. Now, on this trip, there were a lot of refurbishments throughout the park which I felt took away from some of the awesomeness. Several animals weren’t on display because of it, so we were disappointed a few times. Still, there were enough animals that we spent roughly 4 hours, including lunchtime, in the park. 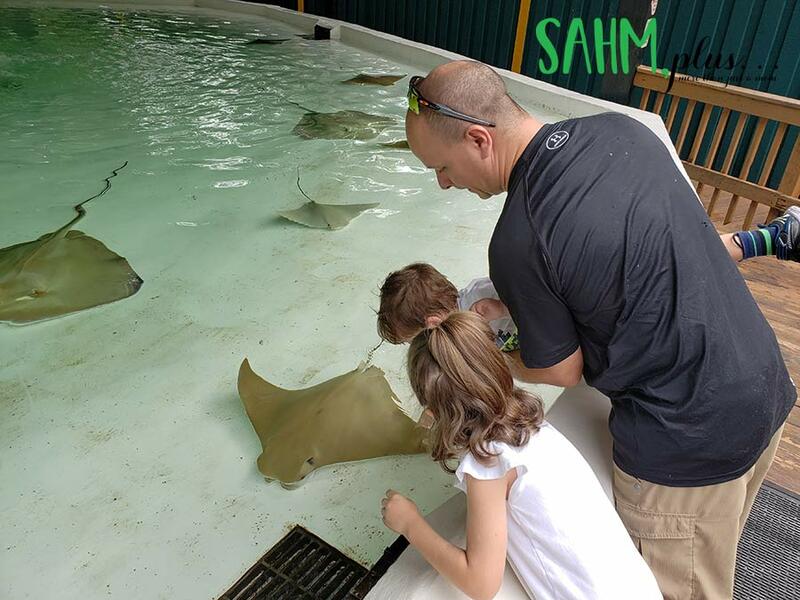 The family favorite was petting the stingrays. My son became fascinated with them at the aquarium and was dying to touch one. Even my daughter and I faced our fears and touched as well. What I like about Zoo Tampa is that the animals seem pretty active, so you get to see a lot of them. Note: If you’re a gluten free diner, my experience has been that staff is not trained or equipped to handle your request. Even on this trip, when I asked the restaurant staff about their gluten free options (that are mentioned on the website), they knew what a gluten free bun was, but didn’t have any. They offered no other suggestion for what could be eaten safely. Thankfully, I brought my lunch (leftovers from dinner the night before) so that I wouldn’t be in the same situation as I had been at the aquarium. The AZA offers a zoo reciprocity program to members of a zoo that participates. 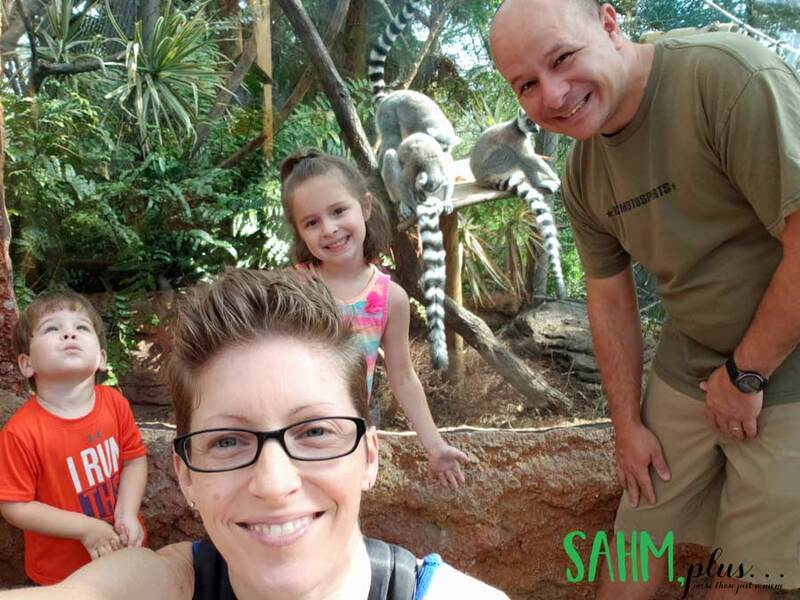 In our case, I’m a member of the Jacksonville Zoo, therefore I receive a 50% discount to Zoo Tampa for the same number of family members listed on my own zoo membership. This made for inexpensive zoo entry for our family of 4. Check out the AZA Reciprocal program to see what discounts are offered if you’re a member of a participating zoo! I would like to return here after the refurbishments are done to see the improvements if I decide to take another trip to Tampa with kids. Just outside of Tampa, and on the Way to Orlando, there’s a fabulous placed called Dinosaur World. 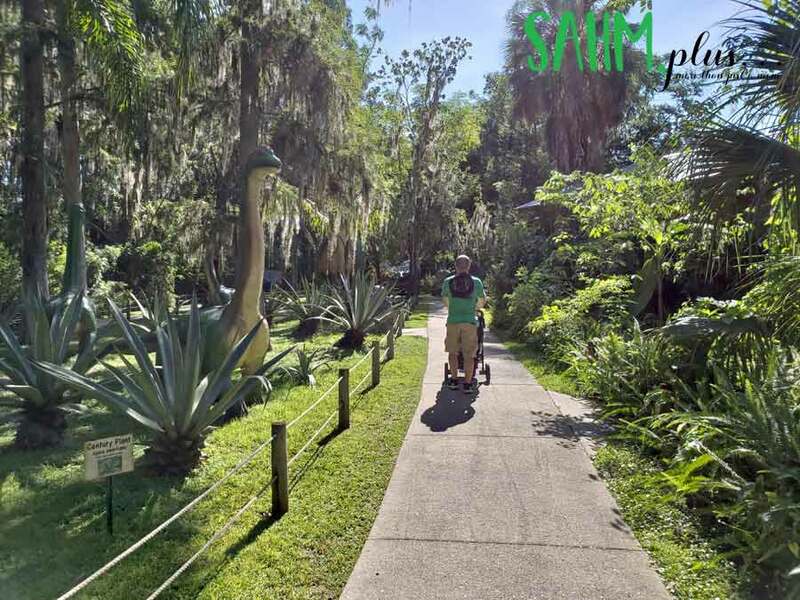 Dispersed throughout a large plot of land are massive dinosaurs set among the trees, bushes, and plants. I felt as though I was stepping into Jurassic Park, only much less risky. This is a large plot of land with vegetation, swampy area with wooden walkways over it, and massive dinosaurs throughout. 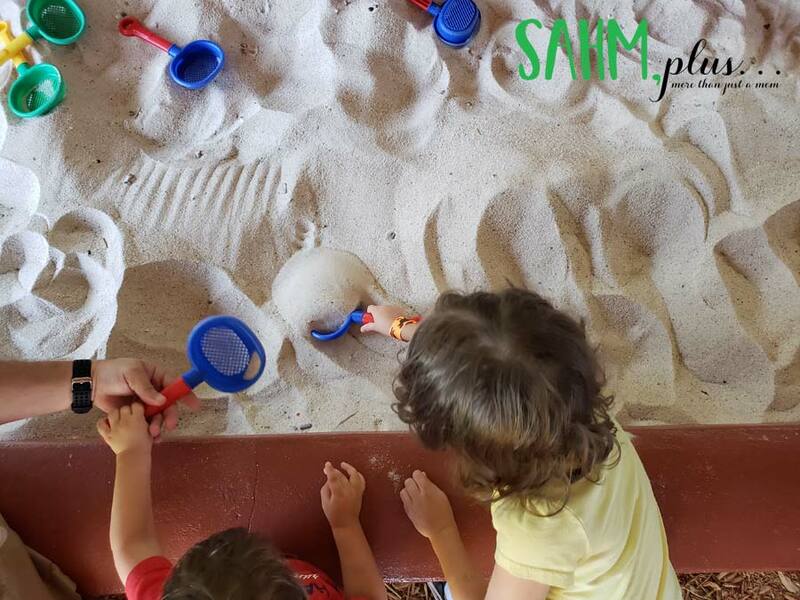 Throughout the park, there are other attractions like an indoor museum (great for beating the heat of the summer), a large fossil dig, and a discovery center with people discussing dinosaur facts. But that’s just a few. There’s also a playground by the picnic tables. We let the kids burn off some energy as soon as we got there. It was already hot at 9 a.m. so we figured it was the best time to play before it became scalding. 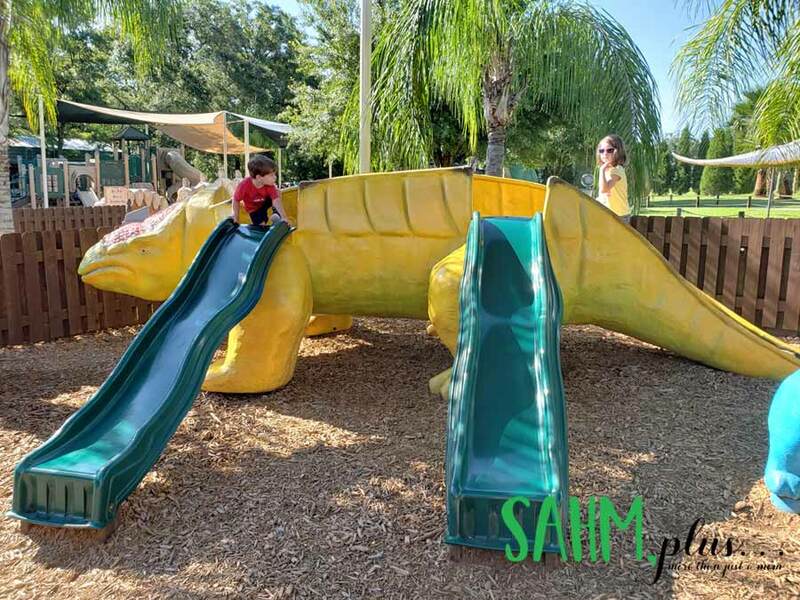 There were two dinosaur-themed playgrounds set up for specific age groups … one was for the little crowd under 5 and the other was for 5 and up. 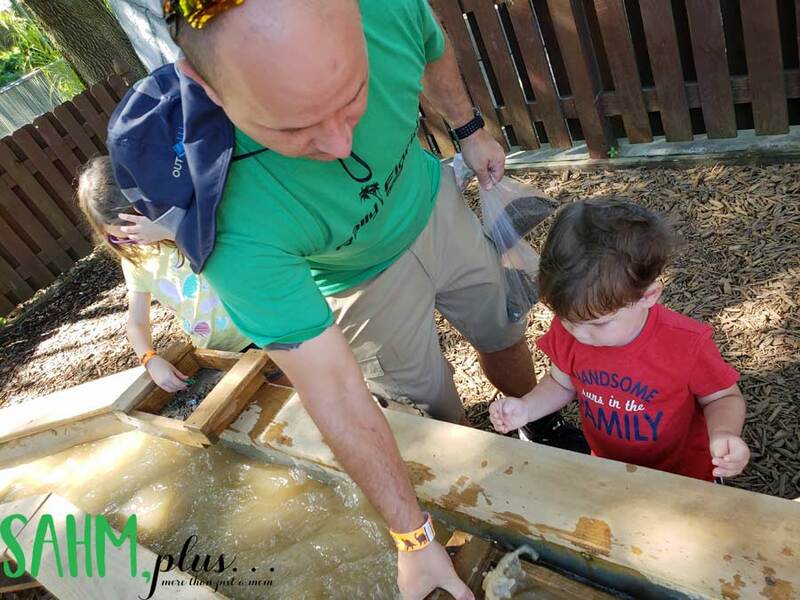 If you purchase the Excavation Pass, your child will get a small fossil dig and a gem excavation (it’s exactly like gem mining in the mountains). We chose to upgrade our passes to include these digs and the kids absolutely loved them! It was awesome finding and keeping little fossils and gems as a reminder of our day at Dinosaur World. We were there for about 3 hours, but could have easily been there another hour. Unfortunately, they don’t have a café, so you either have to bring your lunch or they can have pizza delivered. For us, neither option was a possibility, so we had to leave as early as possible so everyone could eat lunch at a decent hour. 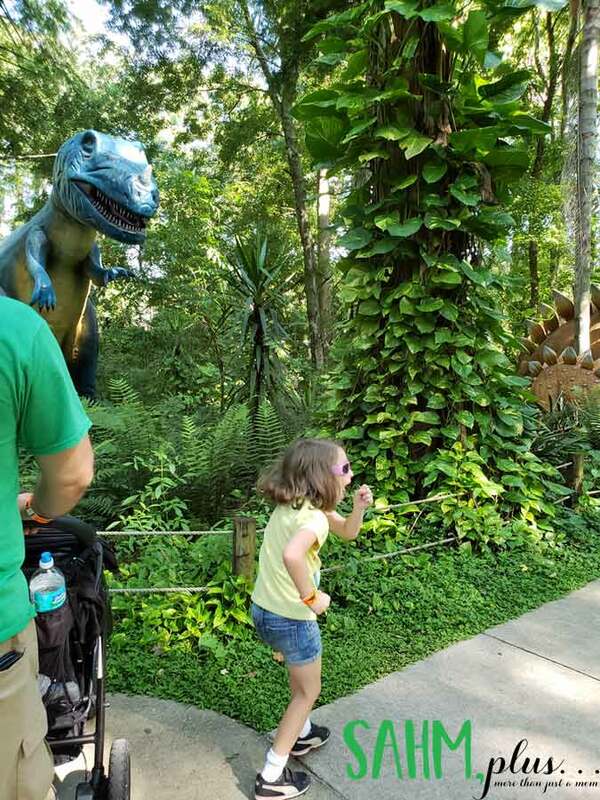 Note: If you decide to visit Dinosaur World, we highly recommend bringing bug spray. In the swampy areas, the mosquitoes and bugs were extremely active. We couldn’t move fast enough to keep from getting bit in those areas. 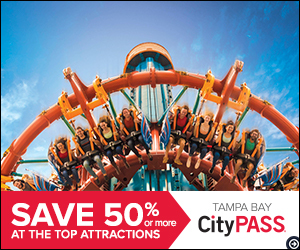 Tell me: Have you ever or would you like to visit these attractions in Tampa with kids? Ive been to Florida many times but never to Tampa! Looks beautiful and I hope to check it out next trip! Thanks for the detailed guide for this place. Every year I try to go on diff holiday locations and I really like this place. well done.